Homeschool Deals: Life of Fred Elementary Math Sale! -- Ends SOON! You are here: Home / Coupons and Deals / Homeschool Deals: Life of Fred Elementary Math Sale! — Ends SOON! Homeschool Deals: Life of Fred Elementary Math Sale! — Ends SOON! 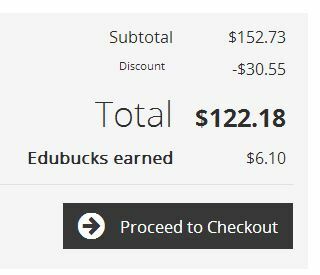 REMINDER –> Educents.com is offering a homeschool deal on Life of Fred Elementary Math! Along with Educents savings of 10% off two or more Life of Fred titles you can add on the exclusive coupon code of FHD20 to save an additional 20%! This offer ends soon! “Life of Fred is a series of math books that break of the old pattern of drill and kill. Instead of nothing but dry exposition and endless drill exercises, they contain fun stories about Fred Gauss, a child prodigy math genius. During his hilarious adventures, he encounters situations that call for solving math problems. Children actually want to read these books. If you’ve been waiting to buy the entire Life of Fred series you can do so for only $122.18 + $5 shipping (depending on location). 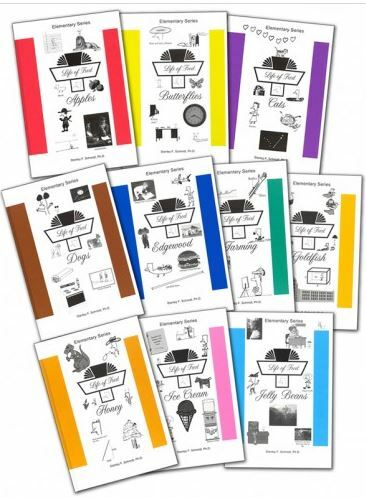 The entire Life of Fred Elementary Series Complete 10 Book Set goes for $148.98 on Amazon and is $159.97 on the publishers website. Click here to see the Life of Fred Homeschool Deals and remember that FHD readers can use the exclusive coupon code FHD20 to take an additional 20% off all Educents orders.